Visit Catalan Bay and Rosia Bay for some beach relaxation. Get a sense of the local culture at Europa Point and Grand Casemates Square. 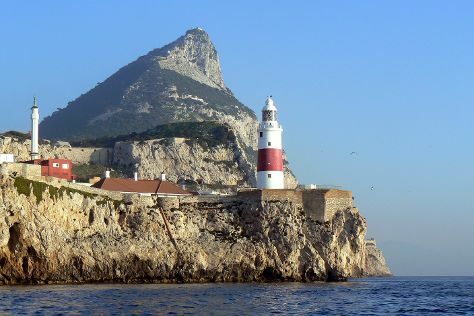 And it doesn't end there: brush up on your military savvy at The Great Siege Tunnels, take in the dramatic natural features at The Rock of Gibraltar, hike along Mediterranean Steps, and contemplate in the serene atmosphere at Cathedral of St Mary the Crowned. For where to stay, ratings, photos, and tourist information, go to the Gibraltar itinerary maker. May in Gibraltar sees daily highs of 72°F and lows of 61°F at night. On the 20th (Tue), you'll travel back home.